Stampin' Up! UK Demonstrator Abi Bundy: New demonstrator kit and free convention!! New demonstrator kit and free convention!! Lower Cost + Complete Customisation = The Stampin’ Up! Opportunity Is Better Than Ever! customised Starter Kit for just £99. together a kit with any of our high-quality products. create a kit valued at over £175 that still ships for free! complete customisation, sharing the Stampin’ Up! better tool to help you share the Stampin’ Up! opportunity! fabulous Make & Takes, see the latest Stampin’ Up! 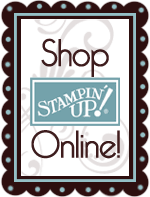 products, receive a convention bag filled with Stampin' Up! on the Rhine River in the historic city of Mainz.